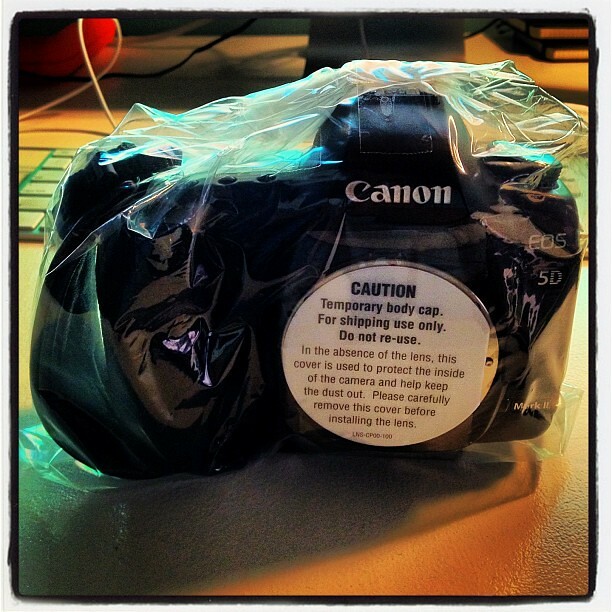 I just got my Canon 5D mark II back from the Hollywood Canon repair center. It was a sad day when after 3 years my camera broke in my hands… all by my doing. All I remember doing was putting a CF card into the camera in the dark and it wouldn’t let me get into live view. I’m so familiar with the camera I can actually operate it in the dark so I figured that my battery had died. I switch out the battery and still nothing. Ok, so… to set this up a bit better and tell you why I was shooting in the dark… this was during a documentary shoot for Revenge of the Great Camera Shootout 2012 at Skywalker Ranch and action was happening. Action that I could not recreate… action with some of the best Hollywood filmmakers you could ever imagine being in a room with… action in the dark dark dark epic screening room… so I ditch the 5D mark II in the corner closest to me and move on to my backup camera. Time lost was less than a minute. Luckily the cool stuff was still happening so I still got my shots. I’m still amazed all the time that we can actually create images in the conditions we do with the DSLRs, this time it was mostly light bouncing back from the screen to light the audience that we were shooting. Well it turns out I pushed the CF card in the camera a bit wrong and bent a pin in the camera. Idiot move… so I bring my camera into Canon for repair and later that day I get a call with the following information: Yes, indeed… I bent a pin… but the camera is WAY over due for maintenance and has really been pushed to the limit. Actually over the limit… 180,000 shutter actuations over and my mirror box was at the end of it’s life. So after 280,000 shutter actuations over 3 years the camera was still going strong and that doesn’t even count the hours and hours of video I’ve shot with it… now it has a brand new life so let’s get it back out there on some new adventures!!! Bagged and tagged with a new lease of life ! I don’t recall… maybe $600??? Or maybe $200??? I can’t remember.